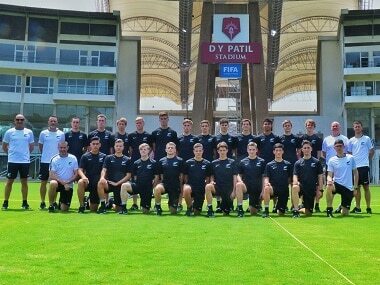 Mumbai: New Zealand expect a stiff challenge in their FIFA U17 World Cup campaign at the DY Patil Stadium in Navi Mumbai, said coach Danny Hay ahead of the Kiwis' practice game on Thursday against South American champions Brazil. New Zealand are in Group B with Paraguay, who did not lose to Brazil in the zonal qualifiers, African champions Mali and Turkey - one of five qualifiers from Europe. The preliminary group games will be held at the DY Patil Stadium. "For us the scenario is very similar (to Brazil's). This is why you come to the World Cup, to test yourself against the best players and sides. 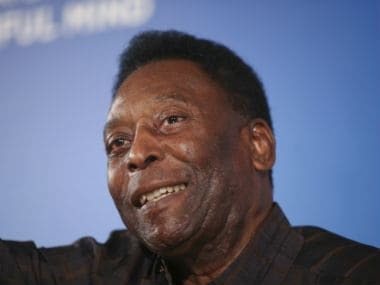 I am really excited and can't wait to play against Brazil," said Hay in the pre-game media conference at the Mumbai Football Arena in Andheri, the venue of the practice game. "There's a strong sense of mutual respect between us. We know the name Brazil is synonymous with football. They are one big team in world football, if not the biggest. It's going to be a good yardstick to test ourselves," he remarked. 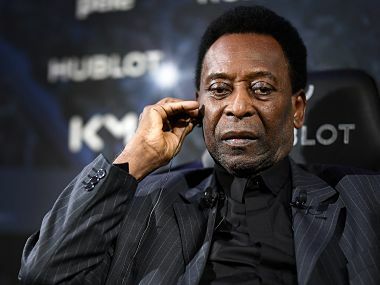 He recalled how New Zealand lost to Brazil in the pre quarters at the last under 17 World Cup. "That (two years ago) was the first time I was involved in a FIFA World Cup as coach. We played the round of 16 match against my Brazilian friends here and it was a massive learning experience. We don't get exposed to high levels of football as geographically we are a bit isolated," said Hay. "It was important that we qualified and tested ourselves. We don't expect anything different now. The level is going to be super high and we expect to be really challenged. "We have Mali in our group. They are the African champions and statistics say in U17 and U20 World Cups, the African teams are very strong. We are under no illusions. Paraguay is a strong side and any side that qualifies out of Europe — like Turkey — is very difficult to face and this is going to be a difficult challenge," he emphasised. Team skipper, midfielder Max Mata, echoed his coach's views. "We are very excited to play against Brazil and the level of football we will be facing," said Mata, adding that the team is getting adjusted to the Indian weather conditions. "Conditions are completely different, but we came here early to acclimatise with some game days and practice matches. We are getting used to the conditions," he said. "It's pretty exciting for us and we are looking to do something great here," he added. New Zealand are to kick off their campaign against Turkey on 6 October.